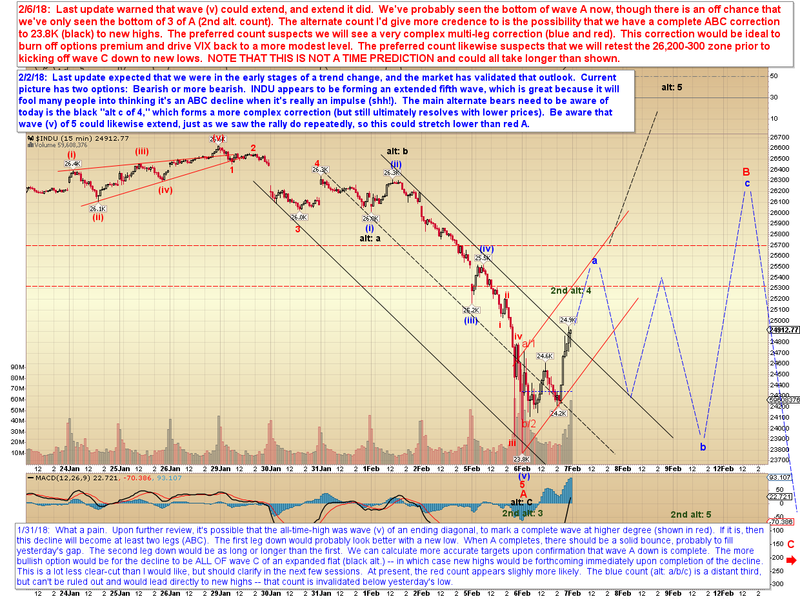 It is worth a mention that this is what we've been expecting the market to do since way back in early February. 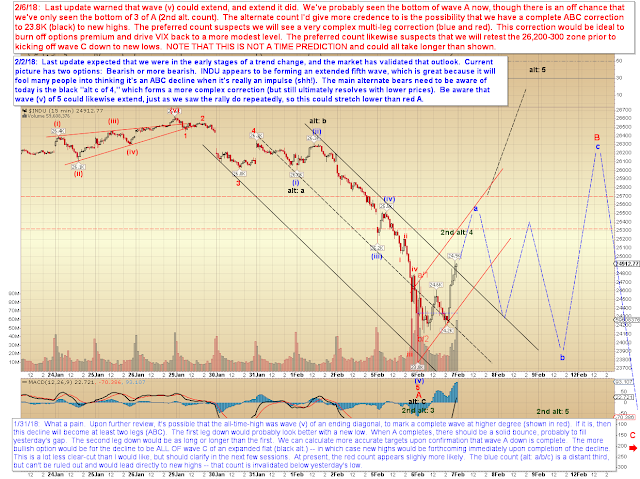 I lost track of how many times I warned about a double retrace and that "all roads lead to (2)/B." 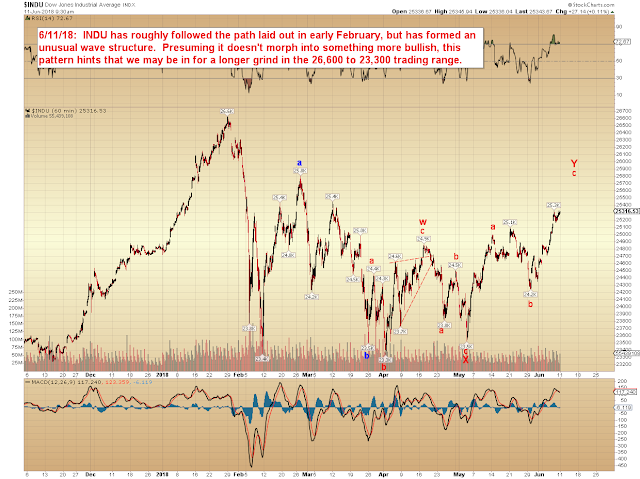 The market refused to take anything resembling a straightforward path, but it's interesting how closely it ended up following a chart I originally published back on February 6. Thus, while this move hasn't exactly taken the straightforward path, it has followed the broader path that we laid out immediately after the January/February mini-crash remarkably well. From that perspective, this move should come as no surprise. As to the present: Basically, at this point, bears don't want to see SPX sustain trade north of 2825, because (as noted) that would invalidate the diagonal. 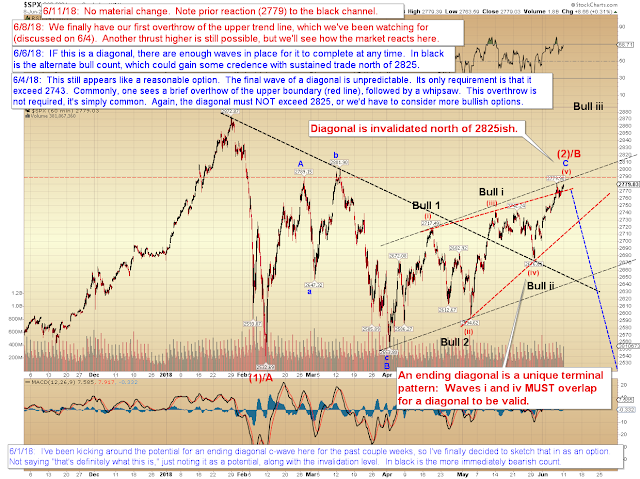 Now, a break of 2825 does not invalidate all bear patterns, but given that a bull nest remains possible, bears should avoid complacency. 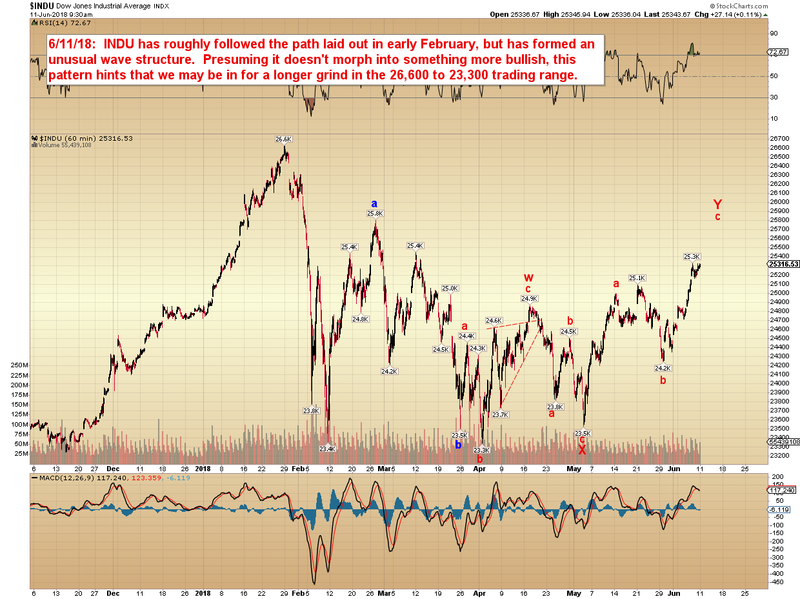 Once we see the first impulsive decline, we can consider calling a top -- until then, the market can continue its upward climb. Trade safe.